Thank you Rotarians for your generous razor donations - we have completed that goal. 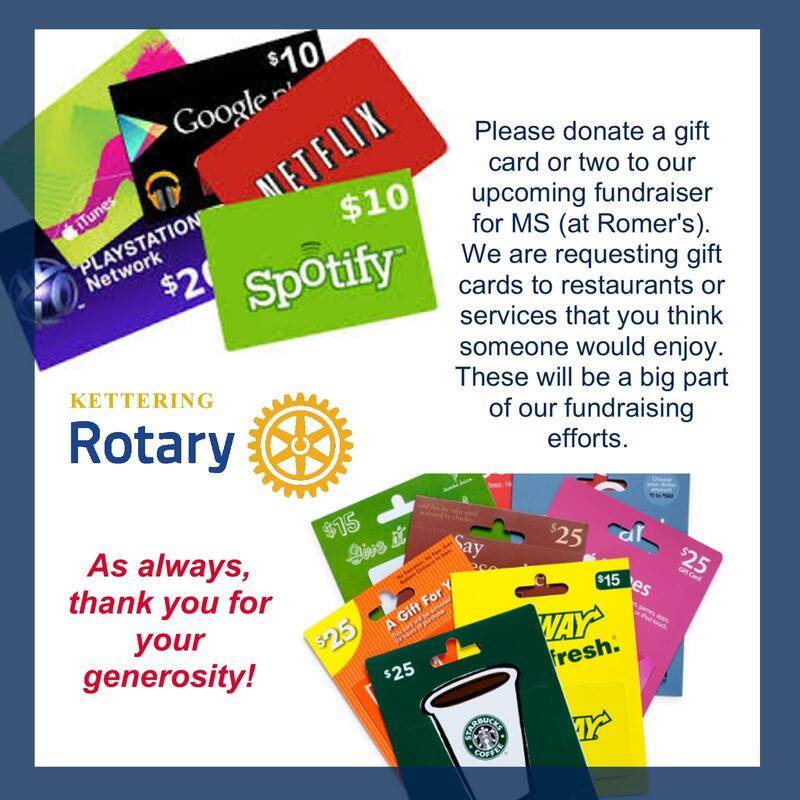 Our next request is for donations of gift cards for our upcoming fundraiser for MS at Romers. Please bring gift cards for restaurants, services or favorite stores to an upcoming meeting.